We can all be bistitchual! Fast forward an hour: it turns out Stephanie can crochet, enjoys it and is even really good at it – she is now bistitchual! So why did I succeed where others had failed? Because one of the first things I said when we started the lesson was that there was no right or wrong way to hold the hook and the yarn. Knowing that she was a knitter, I immediately reassured Stephanie: although she was going to see me hold the hook in my right hand and the yarn in my left hand, she would probably feel the urge to do everything with her right hand, which is absolutely fine. Telling her this right away enabled her to just be comfortable and focus on the actual steps required to create a stitch rather than try to fight years and years of knitting habits. 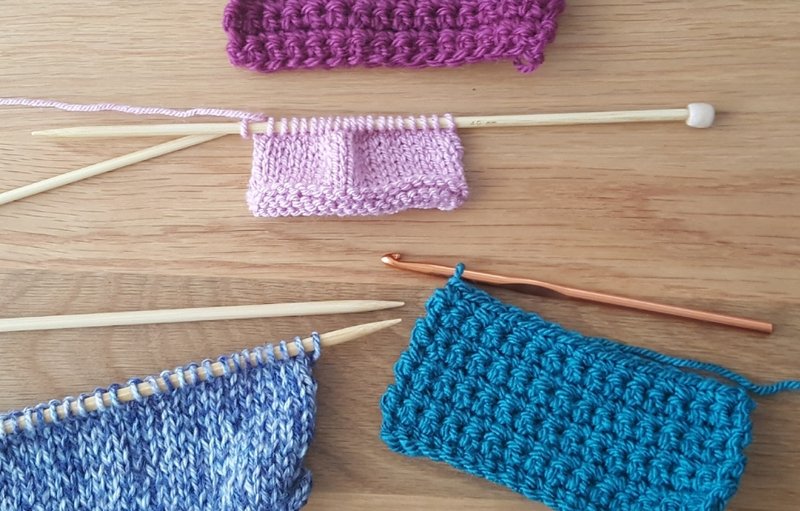 Because what matters is what happens between the hook and the yarn; which hands or fingers get involved is of no consequence whatsoever – you could be crocheting with your toes for all I care! Novice crocheters often tend to have friends & family members who can crochet beautifully, but who can’t teach their craft, because they can only demonstrate the way they do things themselves. They are (usually) well-meaning, and sometimes you just know what you know but you don’t know how you know it (right? ), so they can’t be blamed. There are also numerous crochet books, magazines and online resources who tell aspiring crocheters that they have to hold things a certain way, and it drives me mad! These publications are making sure that a proportion of beginners, who believed they were about to embark on their crochet journey, will immediately get discouraged. Why? Because they will think that if they can’t do exactly what they are told, they just can’t crochet at all, and that is so wrong! IN CROCHET, THERE IS NO RIGHT OR WRONG WAY TO HOLD THINGS!